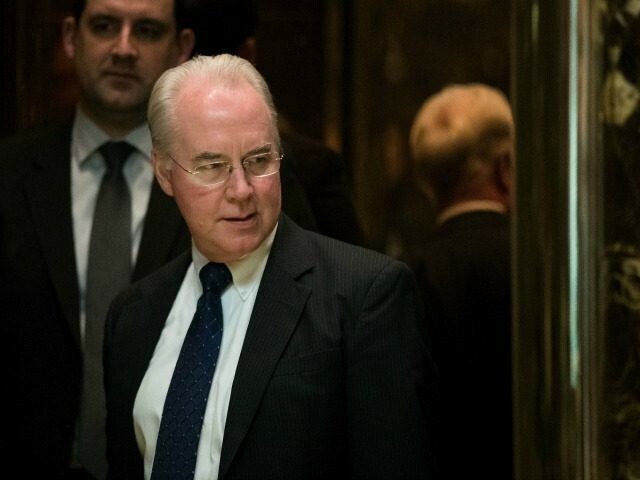 National pro-life leaders are applauding President-elect Donald Trump’s pick of Republican Rep. Tom Price of Georgia for secretary of the Department of Health and Human Services (HHS). Price, who has a 100 percent pro-life voting record, will likely not only play a major role in the repeal and replacement of Obamacare, but also in the redirection of taxpayer funds to health centers that do not perform abortions. The appointment of Rep. Tom Price as Secretary of Health and Human Services is yet another excellent cabinet choice by President-elect Trump. Trump seems absolutely committed to honoring his pro-life commitments by selecting a man with a 100% pro-life record…And in choosing a pro-life cabinet member, Trump has disrupted the liberal media’s pro-abortion agenda, their single most important issue. Representative Tom Price is an excellent choice for Secretary of Health and Human Services. He has a 100 percent pro-life record and is well positioned to champion truly comprehensive health care. He helped lead the charge to defund Planned Parenthood through budget reconciliation, setting the stage for President-elect Trump and a pro-life Congress to reallocate those funds to support comprehensive women’s healthcare. As HHS Secretary, he will play a key role in developing a robust health care reform proposal that protects life and consciences, while promoting options for low-income individuals and families. President-elect Trump has made an excellent choice in Rep. Price as Secretary of HHS. In particular, Rep. Price’s strong pro-life values and record to match make him the right man to reform an agency that has been marred by its aggressive abortion agenda. The Department of HHS caused the largest religious liberty class-action lawsuit in American history when it tried to force religious employers and charities like the Little Sisters of the Poor to pay for and provide things like abortion pills in their healthcare plans. We are confident that Rep. Price will finally put an end to the anti-religious liberty HHS mandate, as well as introduce comprehensive reforms to restore the agency as one that genuinely promotes healthcare that respects human life and dignity. Abortion chain Planned Parenthood and its CEO Cecile Richards, however, are denouncing the choice. Instead of promising to protect all Americans’ health, Price poses a real threat to women’s health in this country. If he has his way, millions of women would be cut off from basic preventive health services like birth control, cancer screenings, and STD tests at Planned Parenthood health centers. What’s more, Price opposes safe, legal abortion, and he plans to repeal the ACA — which would take no-copay birth control away from 55 million women. His positions stand to take women back decades. We see a disturbing trend in Trump’s administration: Its leadership is shaping up to be anti-abortion, and it’s antithetical to everything Planned Parenthood and its supporters stand for. At this rate, we’ll soon see the most anti-woman administration in modern history. Donald Trump nominated Tom Price — an extreme reproductive rights opponent — to be Secretary of @HHSGov. #PriceIsWrong for your health. The Obama administration has sought to override state laws that redirect federal funding from abortion provider Planned Parenthood – its political ally – toward other health care centers that have met the federal government’s criteria. These federally qualified health care centers (FQHCs) provide more comprehensive services than Planned Parenthood to low-income families. Nationally, there are 13,000 FQHCs – a figure that outnumbers Planned Parenthood facilities by 20 to 1.